Part II of the seminar took place in Lehovo Florinas in Northern Greece (17-20 December 2015) supported by the German-Greek Fonds for the Future. EVS (European Voluntary Service) and the German voluntary service programme FSJ/FÖJ have been the topics of this seminar. The introduction focused on team building games to break the ice and went on with a group discussion in order to discover fears and expectations of the participants. Following the discourse, the participants had an intensive introduction into the basics of EVS. Questions arose and heated debates took place. “How can small societies deal with strangers? How do we overcome language barriers? What happens if a volunteer faces various challenges?” The issues were many and had to be extensively analyzed. The seminar focused on the complete organization of an EVS programme. From the practical question of entering the EVS database and applying for a PIC number, the issues of financing, receiving and accommodating volunteers over the planning of a volunteer programme and the activities involved, to the conception of a self made voluntary plan for their own communities. The range was broad and the seminar aimed at enabling the participants to create their own EVS programs for their own communities. The methods used in the seminar varied greatly. Experiential games and group activities were combined with real case scenarios and case studies, while frontal teaching methods were followed by group discussions and team-work exercises. The use of multimedia in form of video and web interfaces was also applied. Visits to the local museum, the local church, as well as the visits to neighboring Martyr Communities enriched the program and facilitated a better understanding of the history of the area of West Makedonia in Greece. The second part of the seminar has been completed successfully and it involved: enlivened learning through team-building activities, introduction to European Voluntary Service, deepening knowledge on EVS and case studies. The participants had time to develop their own plans for EVS in their communities and debated possibilities with the whole team. The experience in Lehovo was special because it took place in a Martyr Community. 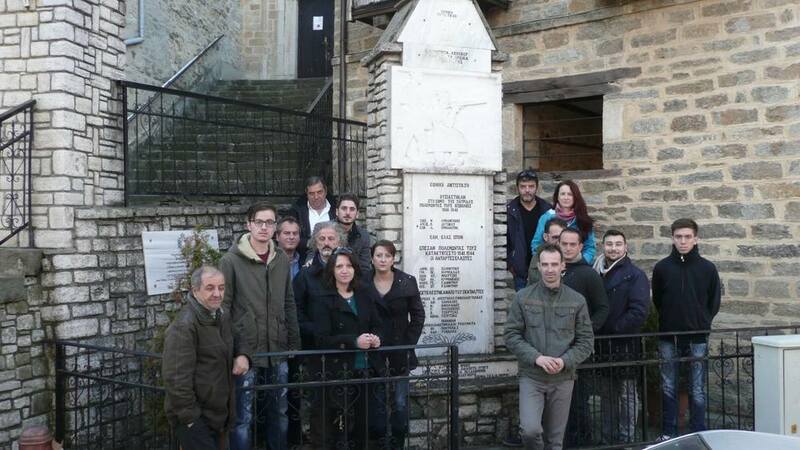 In addition, the seminar group visited another two Martyr Places, the village Mesovouno and the village Kleissoura. Both suffered greatly during the Nazi Occupation of Greece. This experience was and is paramount for the whole group as the participants belong to such communities and appreciate the connection with places that have suffered similarly to their own. The criticism for PART II in Lehovo has been even more positive than in PART I in Kryoneri. This is mainly because the conductors managed to cover the participants’ needs after receiving the constructive ideas of the seminar in Kryoneri but also because the group participants’ knew each other and managed to deepen their debates easier. New ideas for future cooperation in the field of youth in Martyr communities in Greece have been developed. Finally, all participants welcomed the idea of a common web presence for Martyr communities. This way, Martyr communities of Greece would have an online presence, where they can network with each other and with other institutions/persons that are interested in Martyr communities and will be able to present their concerns world wide.